Vetrocalm Senior by animalife provides horse owners with targeted nutrition designed specifically for use with older horses. Using high quality, bioavailable magnesium, alongside other important amino acids and tryptophan, Vetrocalm Senior has been designed to support positive, stress-free behaviour. Vetrocalm Senior has been scientifically created to help maintain a calm and relaxed frame of mind during everyday challenges and when older horses and ponies are faced with testing or stressful situations. Vetrocalm Senior offers supporting ingredients that help replenish levels of magnesium and amino acids that may have been lost due to stress, fear or anxiousness. As horses mature they can anticipate situations and often find travelling, competing and new environments particularly challenging. 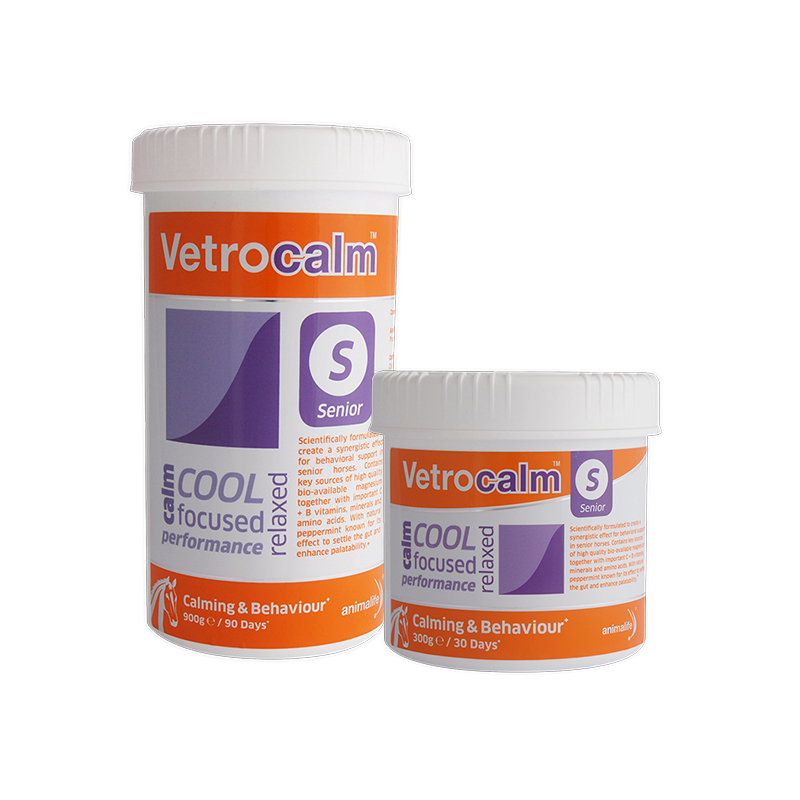 Vetrocalm Senior can help support the body’s physical responses to life challenges and help manage stress levels in training, handling and when performance is a priority. Contains concentrated bioavailable ingredients at specific ratios shown to support calming and anxiousness. Easily digested for the older equine, even during periods of stress. Assists the senior horse when dealing with stressful situations such as competitions, travelling, training or changes in circumstances. Helps manage spooky behaviour, anticipation and performance issues such as excitability, aggression and tension. Free from banned substances making it ideal for competition use. Assists in supporting overall health and wellbeing of your senior horse. Nothing compares with Vetrocalm, works like Vetrocalm or delivers results like Vetrocalm.